On 9th June 2016, Nestlé Waters officially opened Switzerland’s largest agricultural biogas facility which will provide renewable energy for the Henniez bottling plant and the Swiss power grid, as well as natural fertiliser for local farms. The CHF 9.5 million plant has been built at Valbroye (Treize-Cantons) in the Canton of Vaud on a plot owned by Nestlé Waters, in collaboration with Group E Greenwatt, which owns the facility. The biogas plant is able to process 25,000 tonnes of cattle slurry and poultry manure per year, as well as 3,800 tonnes of co-substrates, namely coffee grounds. The facility can generate nearly 4 million kWh of electricity annually. On 10th June 2016, Honduran Green Power Corporation (HGPC) commissioned a 43 MW biomass plant, located in Choloma, Cortés Municipality in the Valle de Sula. The US$130 million facility uses biomass comprising giant king grass as well as weevil affected pine wood, African palm tree rachis and sugarcane bagasse as fuel. According to the Honduran President, Juan Orlando Hernandez, the plant is considered unique as there is no other project of this kind in the world. To take a look at the journey taken on this development, click here. The decision of the UK in the recent referendum to leave the European Union (EU) is a supremely important decision, both for the country and Europe as a whole. The UK can be expected to leave the EU at some point over the next two years, although the precise timing is not known at present. What effect is this likely to have on the treatment and disposal of waste in the UK? 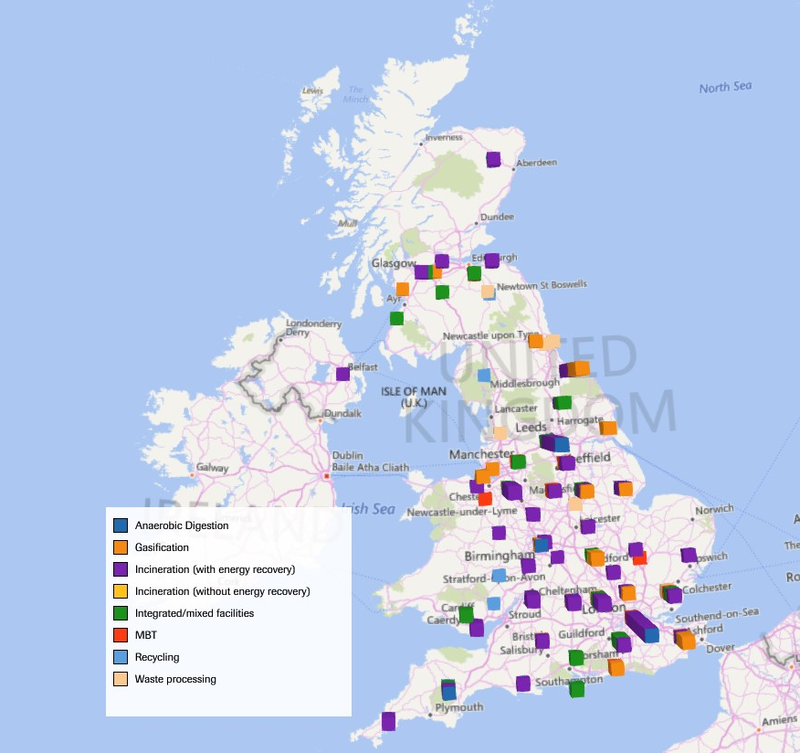 The UK has been a major investor in new technologies for waste treatment in recent years. This is to replace landfill, which until a decade ago was by far the most popular form of disposal. 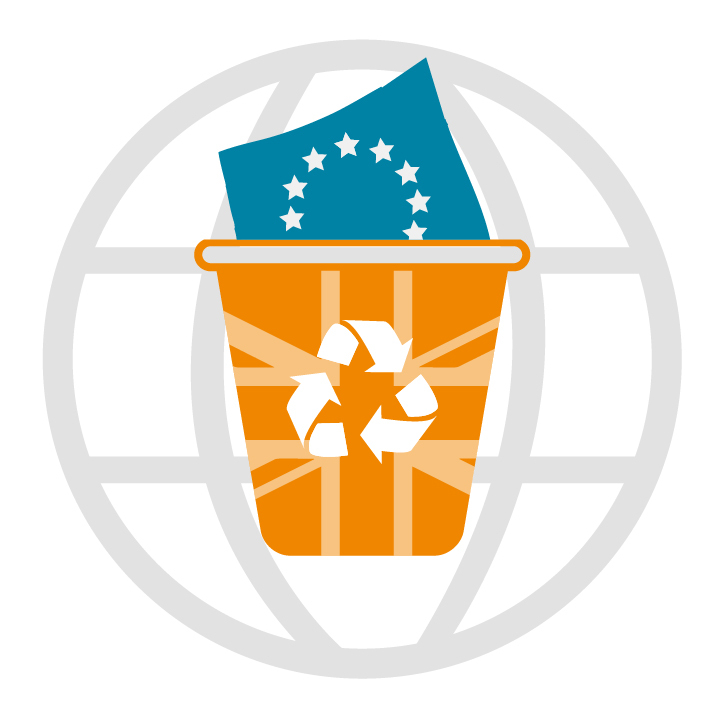 A major driver for this has been the adoption of EU directives regarding waste, including greater recycling and reuse, and financial penalties for landfill. This will continue during the transitional phase, and most likely afterwards. While a post-brexit government would have the ability to adopt a new approach, this is unlikely to be a priority and any new laws would be sure to follow similar environmental concerns. Perhaps more movement could be seen in the power generation field. Here, in order to comply with EU regulations, the UK has been closing older coal-fired power stations and replacing them with a variety of newer technologies, such as waste-to-energy or biomass incineration. A post-brexit government, faced with the rising prospect of a gap between generation and consumption, might wish to adopt a new approach or retain existing stations for longer than would have been the case. The wider macro-economic and political position should not be ignored. Brexit could feasibly have a short-term impact on the economy and in particular on government finances. This could lead to reduced investment in capital projects, as was seen in the 2008-2010 period. Also worth noting is the position of Scotland, which voted firmly to remain in the EU and may decide to separate from the UK as a consequence. This could lead to renewed dislocation, with a potentially negative impact on Scottish government finances. Moves towards brexit are some years away, however, and unlikely to affect current investments. Where can information be found on the state of the UK’s waste treatment market as of 2016? Publicly-collected statistics on waste generation and treatment are available, but they can only tell you so much. While they offer a useful pointer to trends and the general direction of travel in the industry, they are often several years out of date, and can be beset with inconsistencies and reporting errors. AcuComm’s proprietary waste database is different. Our researchers seek out data on recent and forthcoming investments, to provide an accurate picture of requirements and funding availability right now and in the future. 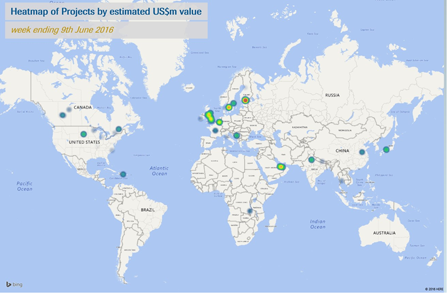 We currently have over 4,000 active projects listed worldwide, with an average value of US$76 million each. In the UK, we have 153 dealing with the treatment of municipal solid waste, worth an estimated US$20.3 billion. Of these, 41 are due to become operational by the end of 2017, worth an estimated US$6.6 billion. The pie charts below are taken from freely-available Eurostat data. They show the change which has taken place in the UK waste treatment market over the past decade, as landfill has become less prominent, and greater use has been made of recycling and WtE incineration. 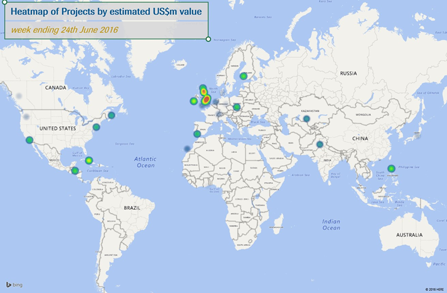 The following map shows the location of investments opened or planned between 2013 and 2016 by treatment type, taken from AcuComm’s database. The full database contains detail on each one, including values, timescales and contact names for each of the companies involved. WtE incineration is the leading technology, with 48 active investments across the country. In the week ended 24th June 2016, AcuComm added 40 new or updated waste projects to our Business db, worth an estimated US$3,012 million and waste capacity of just over 8.8 million tonnes. This takes the total estimated investment value of projects to US$317.2 billion. WtE incineration was the largest category in terms of waste capacity in the past week, accounting for just over 3 million tonnes. The leading countries from the past week were the UK with ten projects and the USA with eight. SEaB Energy has installed its Flexibuster containerised anaerobic direction/biogas power plant at a Modelo Continente hypermarket in Gaia. The hypermarket is owned by Sonae Group, Portugal’s largest retailer. This is the first time that an anaerobic digestion system, that converts inedible food waste to energy, has been installed at a supermarket site anywhere in the country. The Flexibuster will convert approximately 600kg of inedible supermarket food waste into energy per day, and this will generate around 80,000 kWh of electricity, as well as 180 tonnes of fertiliser per annum. For more information on the new installation, click here. CalaChem is looking to replace its 20-year-old combined heat and power (CHP) plant in Grangemouth with a new modern facility that will use refuse-derived fuel (RDF) as its energy source. The plant is budgeted at £150 million and will be built by Standardkessel Baumgarte. Public consultations closed in April 2016 and in June, CalaChem advised AcuComm that it had submitted a planning application which is now being reviewed by Falkirk Council Planning department. CalaChem is hopeful that work could start in winter 2016 with the facility becoming fully operational in 2018. Hamburger Hungaria has officially inaugurated a new €150 million co-generation power plant at its paper mill production site in Dunaújváros. The new plant uses solid fuels, including the paper mill’s own residual waste from paper production, as well as biomass and coal. The power plant has a capacity of 172 MW in used fuels, 158 MW in generated heat and 42 MW in generated electricity. In the week ended 17th June 2016, AcuComm added 47 new or updated waste projects to our Business db, worth an estimated US$3,661 million and waste capacity of just over 9.6 million tonnes. This takes the total estimated investment value of projects since 2013 to US$316.5 billion. Municipal Solid Waste (MSW) was the leading feedstock type reported on in the past week, accounting for an estimated 5.1 million tonnes, or 52.9% of the total. The leading countries in the past week were the USA with eight projects and the UK with seven. If you or your organisation is looking to keep up-to-date with the latest waste, bioenergy and recycling projects from across the globe, look no further than AcuComm’s Sales Package. With daily updates on new and existing projects in our database, you can identify the latest sales opportunities and direct contact details for key decision makers before anyone else. For more information and to see the benefits for yourself, arrange a demo today. Switzerland’s largest agricultural biogas facility has been officially opened and will provide energy for Nestlé Waters’ Henniez bottling plant and the Swiss power grid, as well as natural fertiliser for local farms. The CHF 9.5 million plant has been built at Valbroye (Treize-Cantons) in the Canton of Vaud on a plot owned by Nestlé Waters, in collaboration with Group E Greenwatt, which owns the facility. It is able to process 28,500 tonnes of cattle slurry and poultry manure per year, as well as coffee grounds from Nescafé and Nespresso sites in Switzerland. The facility can generate nearly 4 million kWh of electricity annually, equivalent to the consumption of more than 1,000 households. For more information on the project’s completion, click here. The Ministry of Climate Change and Environment has issued a Request for Proposals (RFP) inviting qualified bidders in order to select a consultant/consulting company to work as a project manager for integrated waste management projects in Ras Al Khaimah, Fujairah, Ajman and Umm Al Quwain. Currently, it is proposed that a major new facility will be constructed in Umm Al Qaiwain, comprising of a 1,000-1,500 tonnes per day material recovery facility, composting site and a refuse-derived fuel plant which will convert non-recyclable waste into fuel, plus a sanitary landfill. Click here to keep up-to-date with the proposals. The European Bank for Reconstruction and Development (EBRD) has issued a notice on behalf of the Municipality of Sokolac related to the implementation of a public-private partnership (PPP) for a biomass district heating project. The PPP agreement will involve the designing, renewal/reconstruction, construction, organisation, operation, production of heat and electricity and delivery of heat to the district heating system in Sokolac. For the latest updates on this installation, click here. In the week ended 9th June 2016, AcuComm added 43 new or updated waste projects to our Business db, worth an estimated US$4,293 million and waste capacity of just over 13.2 million tonnes. This takes the total estimated investment value of projects in the database to US$315 billion. Wood (3.5 million tonnes), other general organic materials (2.7 million) and municipal solid waste (2.5 million) were the leading feedstock types reported on in the past week. The leading countries from the past week were the UK with eight projects and the USA with seven. The average active waste project is now worth US$76 million. Naturally, there are wide variations in average values due size, duration, location, etc., details of which can be discovered through AcuComm’s Search function. With this, you can find essential Waste, Bioenergy and Recycling projects, management reports and business intelligence at the touch of a button. If you would like to find out more, book a demo with us today. The Metropolitan Water Reclamation District of Greater Chicago and Ostara Nutrient Recovery Technologies have opened the world’s largest nutrient recovery facility to help recover phosphorus at the Stickney Water Reclamation Plant in Cicero, IL. The facility will improve water quality in local rivers, lakes and streams. It will also produce Crystal Green, a commercial fertiliser from recovered resources using Ostara’s Pearl process for nutrient recovery. To find out more on the new facility, click here. Mahachai Green Power and DP CleanTech have completed the first high temperature, high pressure biomass power plant, which is specifically designed for the simultaneous combustion of all forms of coconut waste. It will also combust “conventional” biomass such as wood residues and rice husk to produce electrical renewable energy. Click here if you’d like to read more on this unique plant. In May 2016, it was reported that Abu Dhabi Oil Refining Company (Takreer), has awarded Grupo ACS, a division of Intecsa International, a €235 million contract to build an industrial waste treatment plant in the zone of Ruwais. Work on the contract is due to be completed in the second half of 2019. To keep up-to-date on the latest developments in this project, click here. In May 2016, a spokesperson from Thöni told AcuComm that work on the second phase of a project to install a third anaerobic digester at AVA Abfallverwertung Augsburg’s biogas plant has just been completed. As a result, the plant now has the capacity to treat 75,000 tonnes per annum (tpa) of biowaste (including food) and green waste). The raw biogas produced amounts to 8 million cubic metres per annum, with 46 million kWh/annum of biomethane being fed into the gas grid. This corresponds to the annual heating requirement of 5,000 households, the annual power requirement of 6,000 households or the CNG requirement of 5,000 cars (15,000 km/annum). To keep up-to-date with the latest developments in this project, click here. On 13th May 2016, Lietuvos Energija and Fortum Heat Lietuva issue an international tender seeking a main contractor to be responsible for engineering, procurement and construction management (EPCm) prior to the plants’ construction. The successful tenderer will also be responsible for the plant construction co-ordination, supervision, acquisition advice, compliance with the law and commissioning of the facility. The deadline for bidding is 13th June 2016. Warsaw’s waste management company, Miejskie Przedsiębiorstwo Oczyszczania (MPO), has opened tender submissions from various companies for the design and engineering of a waste-to-energy (WtE) facility proposed as part of the redevelopment and modernisation of the solid waste treatment facility in Targówek district. The new WtE facility will be built at a cost of PZL 1.1 billion and will comprise two lines with a total waste capacity of 265,000 tonnes per annum (tpa), which would bring the Targówek facility’s total capacity up to 305,000 tpa. Energy output is expected to reach 20 MWe and 60 MWth. Click here for more information on the redevelopment.